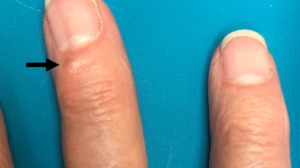 This 72-year-old man presented for evaluation of an asymptomatic lesion growing on his left index finger. No other fingers or toes were involved. He had type 1 diabetes mellitus and used that finger for finger pricks to monitor his blood glucose level. What is the cause of this lesion? 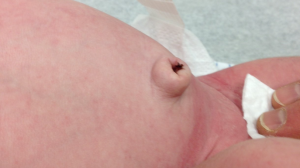 This patient had inoculated himself with a wart. 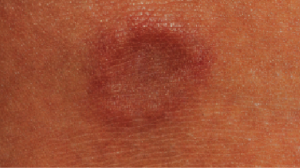 Most likely, the needle prick for the blood glucose self-testing offered an opportunity for the wart to gain entry. 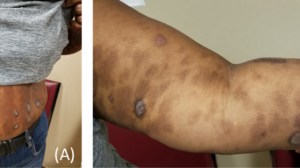 It was suspected that his diabetes had increased his risk for acquiring the viral infection, possibly related to diminished immunity. 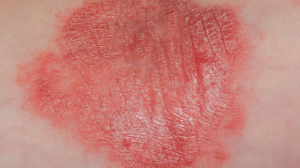 The punctate bleeding points visible in the photo represent thrombosed capillaries and support the diagnosis. 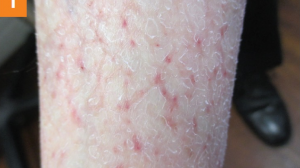 Thrombosed capillaries are typically absent in digital fibrokeratomas, and while they might be seen in a clavus, these are typically confined to weight-bearing regions such as the sole. 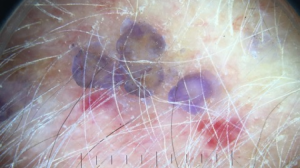 The verrucous surface of the lesion argues against nevus as a possibility. 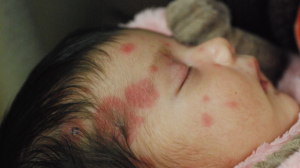 Squamous cell carcinoma can arise from human papillomavirus infection, but the erythematous friable appearance of the lesions associated with this diagnosis is missing in this patient’s case. 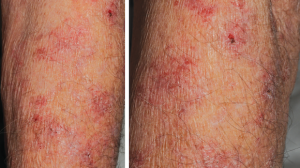 Can You Identify This Asymptomatic Lesion on an Elderly Man’s Temple?